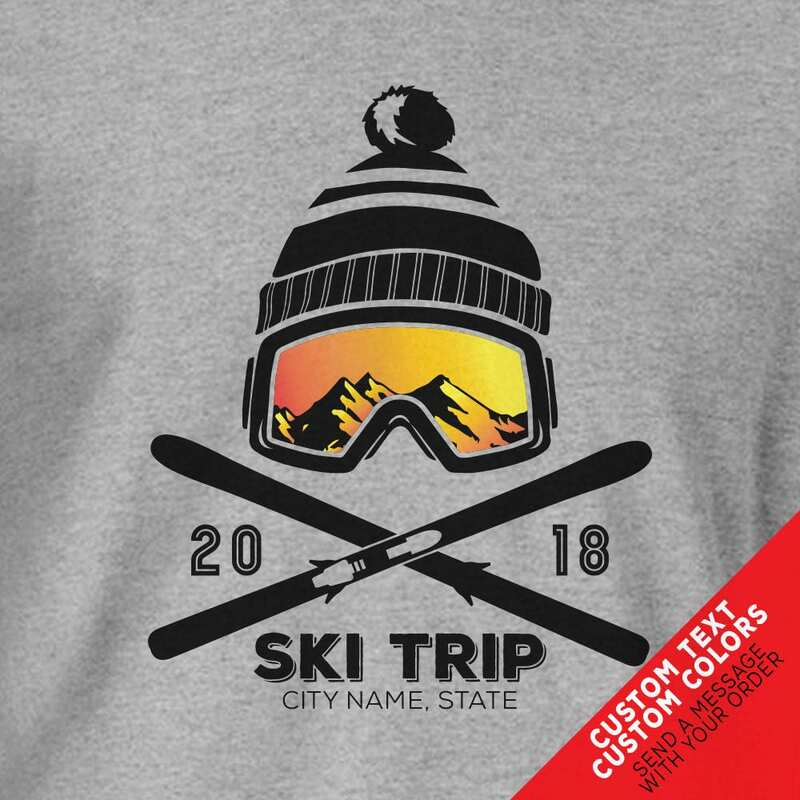 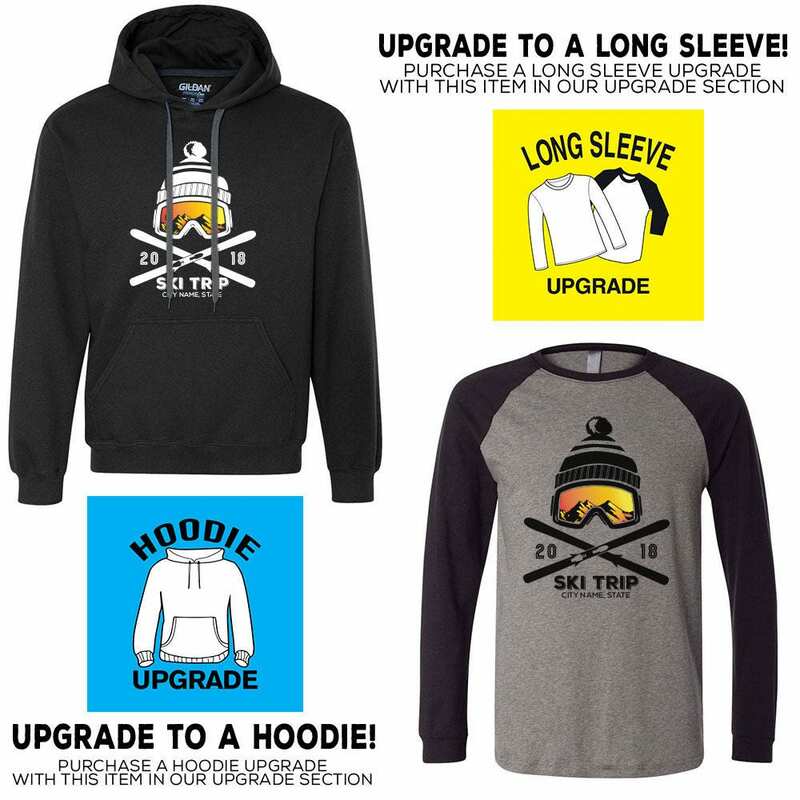 Custom Snow Ski Trip Ski Vacation Shirts for 2019. 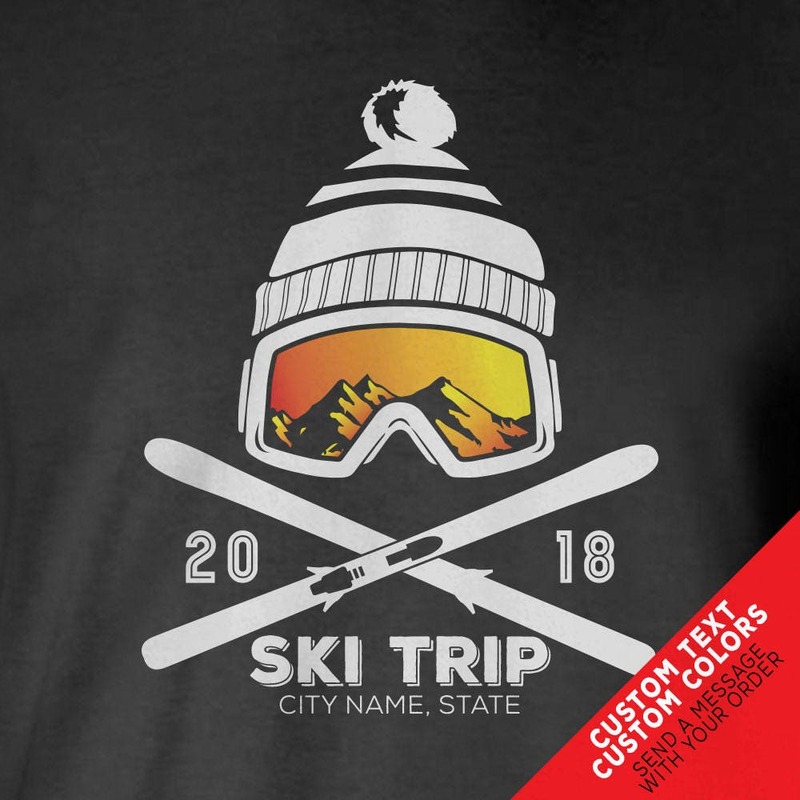 Add your Ski Destination to this snow skiing trip shirt graphic. 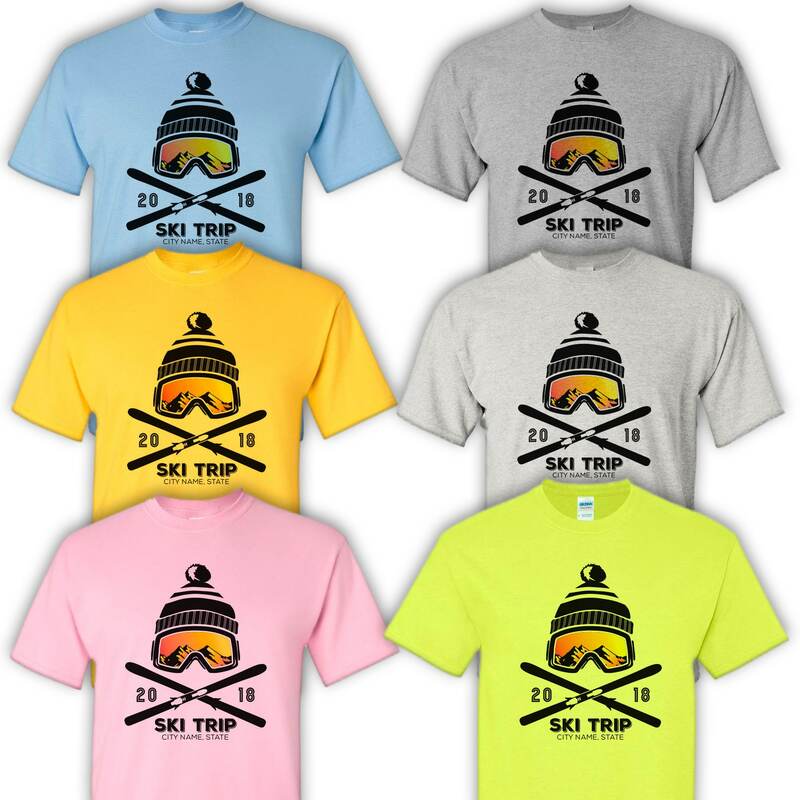 Order one for every family member in their favorite colors. 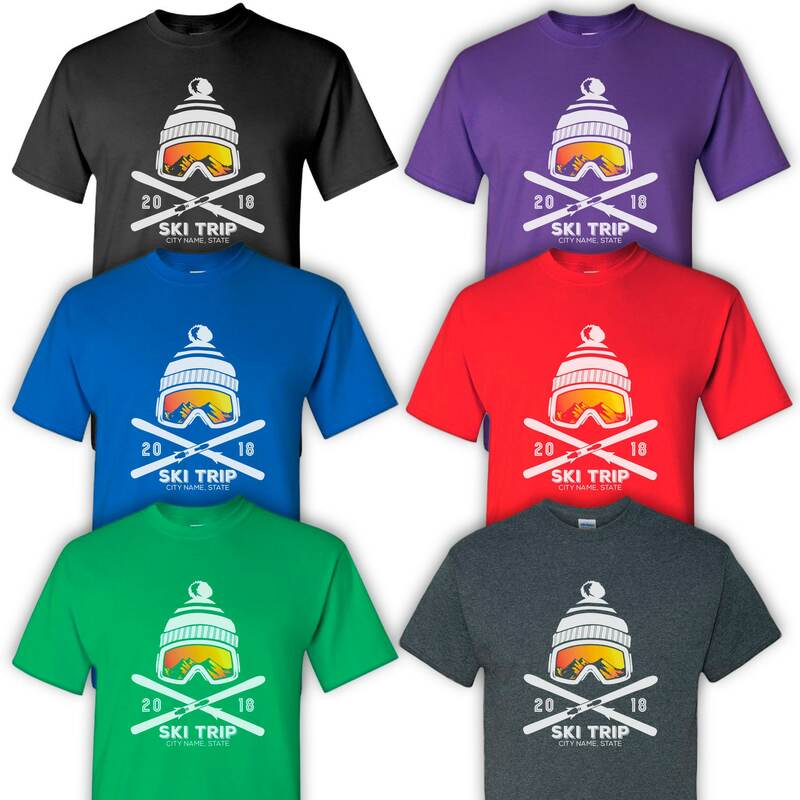 Great for Mountain Vacations and Snow Ski Trips. 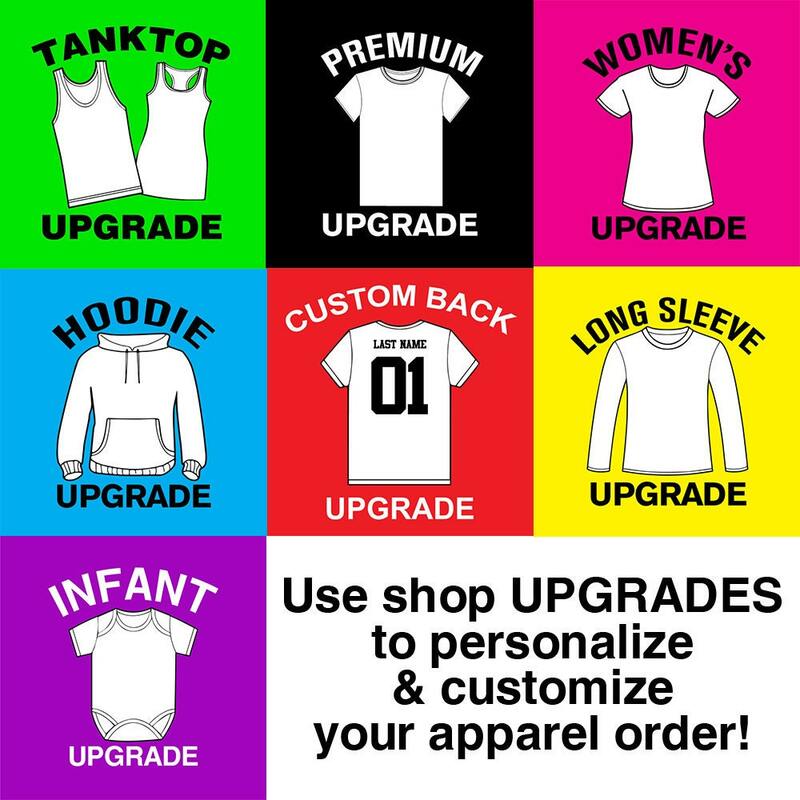 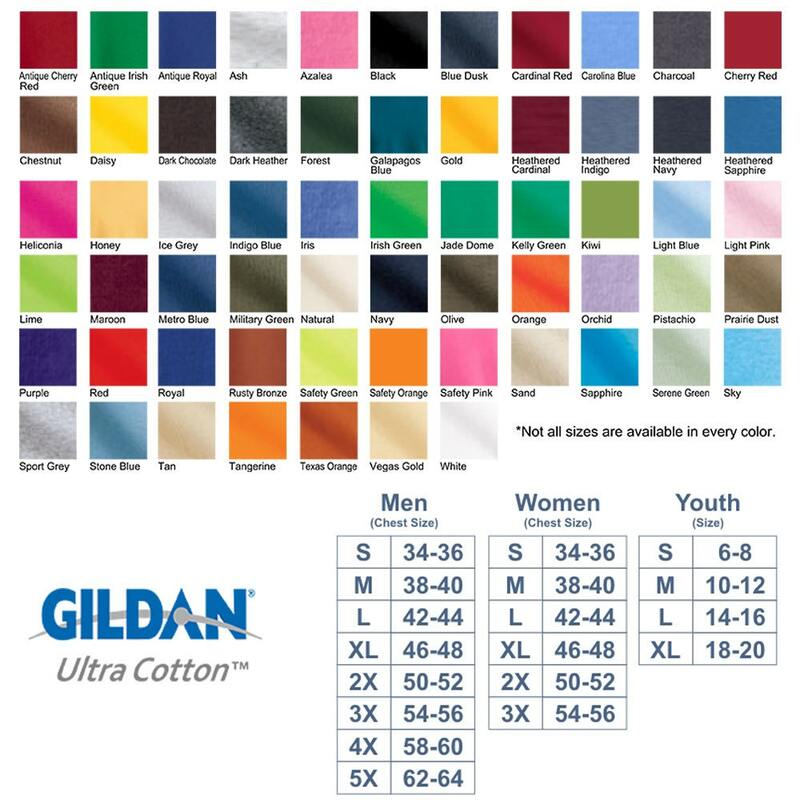 We can also customize the 1-color of print upon request.